THE DAVID VANDYKE RACING SEASON: AUG 1 - AUG 15, 2018. Fresh from a highly successful 2017/18 racing season, the David Vandyke stable wasted little time in getting the scoreboard rolling when the new season kicked off on August 1, 2018. One win on the opening day would have been sweet enough … a double (from just three runners) translated into more of a statement of intent with the wins of Hold The Line and The Mechanic underlining the fact that there would be no resting on laurels but rather there would be a never ending push to get better and better. On August 8, Baccarat Baby became the stable’s third individual winner of the season and, a week later on August 15, the three-year-old filly backed up to score her second win of the season and, on the same day, The Mechanic also won again to claim the same distinction. 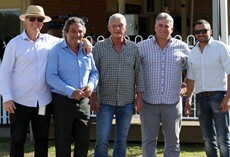 The stable only had Baccarat Baby and The Mechanic in action of August 15 so went home with a full house (one hundred percent winners) on the day which took the stables record for the first half of August to five wins from ten starters (an amazing fifty percent winning strike rate). Two other runners, Soul Secrets and Tony’s Decree, landed minor placings. While the strike rate is indicative of horses performing well, it real essence lies in the trainer’s ability to place horses well … where they can race to their best advantage … and the statistics for the first half of August clearly highlights the optimum placement of horses in suitable races as one of the underlying strengths of the stable. HOLD THE LINE (3 b f Your Song – Why’re You Waiting). Mr G I Turnbull, Mr B J Synott, Mr C A Amerio, D N R D & A N Parkinson Racing, Bush To Beach Racing, Mrs J L Jenkins, Mr S Miller, Mr D T Masters, Mr G Garzaniti, Mr G I Jones, Mr D J Vandyke. 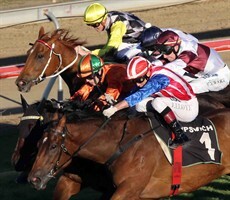 Aug 1: Ipswich - QTIS Three-year-old Fillies Maiden Plate – 1200m. THE MECHANIC (3 b g Myboycharlie – In Harmony). BACCARAT BABY (3 b f Casino Prince – Meerlust). 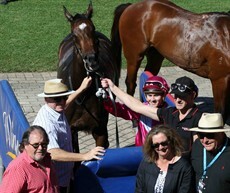 Aug 8: Sunshine Coast – Three-Year-old Benchmark 65 – 1400m. Aug 1: HOLD THE LINE. Hold The Line had to contend with an awkward draw on debut and that did look to be problematic early in the race when she was caught three wide. She was third, in the leading line early, but then Jeff Lloyd elected to let the leaders go preferring to slip into a more comfortable trailing fourth position. Hold The line turned for home four wide with three lengths to make up. She did take a little while to change gears but she did that just inside the 200m mark and, such was her acceleration, she was already in front by the 100m mark with the faster finishing Belle Roc her only danger. 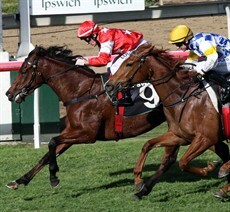 The gap closed to just over a quarter-of-a-length at the line but Hold The Line’s mid straight surge proved to be a winning effort which saw her safely home. Any debut win is a promising effort and this result was no exception. *The runner-up Belle Roc came out and won her next start to frank this formline. The Mechanic came into the new season with a record of two wins and one runner-up finish from seven starts. 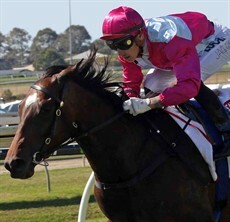 The lightly raced five-year-old had yet to race beyond 1020 metres so that was going to be a test. But first he had to pass a veterinary examination behind the barriers at the request of the rider. He was cleared to start. His task was not helped when he was squeezed at the start and went back to last and, when he trailed and over-raced mid-race, he had plenty of work ahead of him. Still wanting to pull, The Mechanic improved his position approaching the home turn, albeit three wide, but then, on the point of the turn, he was pushed even wider and momentarily lost ground in the process. The Mechanic at least was in clear running but as he improved he had Odelia coming with him and being a nuisance on his inside and these two forged clear to fight out the finish. Talk about toughing it out. That’s exactly what The Mechanic did to hold Odelia at bay by a quarter-of-a-length. 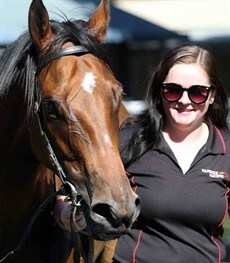 Baccarat Baby entered for the new season brimming with promise after winning two of her three starts as a two-year-old (both over 1200m) and landing both of those victories by comfortable margins. 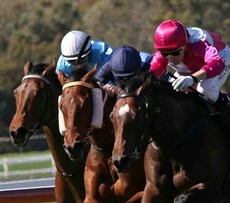 The step up the 1400m, the steadying burden of 59kg and the often muddling pace that a four horse field can bring were all challenges in their own way that had to be overcome if the filly’s winning sequence was going to be extended to three straight successes. The stable did want to try to get Baccarat Baby to learn to settle with a view to future assignments over more ground and, to that end, Michael Hellyer did restrain his mount back in second spot early on. That education process seemed to work well enough but, turning for home, Baccarat Baby now had the task of picking up under 59kg after the first 800m had been run at a very slow pace. She warmed to that challenge slowly and, after having her head to one side early in the straight, she gradually did what she had to do to secure the win. The hat trick was now in the record books. And then it was four-in-a-row for Baccarat Baby. Just a week after scoring her first win of the season Baccarat Baby backed up … stepping up in distance for the second race in a row (this time from 1400m to 1660m). Again, there were only three opponents and, again, the filly had to be restrained as she fought for her head going into the first turn. She settled going down the back straight, content to sit at the back of the field some three lengths off the lead. Baccarat Baby improved her position in the sweep to the home turn and found herself in a close up third position, two-wide outside the leaders who were both under pressure, as the field straightened for home. From there, for the whole length of the straight, it was no longer a serious contest and Baccarat Baby worked strongly to the line to gain a clearlycut 2.80 length victory. This result left Baccarat Baby with four straight wins on the board (from only five starts) and she has now been unbeaten since losing on her debut in town back on February 10, 2018. 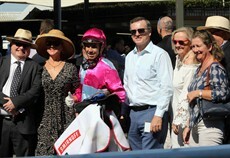 One race after Baccarat Baby had made it two out of two for the new season, The Mechanic scored a double of his own. Dragged back from a wide draw, The Mechanic loped along at the rear of the field, some six lengths off the lead for the first half of the race. He then started his forward move in the approach to then home turn, firstly slipping up along the rail inside two runners before tracking wider into clear running on the apex of the turn itself. The Mechanic still had some three lengths to make up at that stage though but, in reality, he was never going to get beaten once he extended with purposeful strides with the official two-and-a-half length margin of victory aptly summing up his dominance. AUG 5: DIDN’T MENTION IT – Sunshine Coast – Class 1 – 1400m. 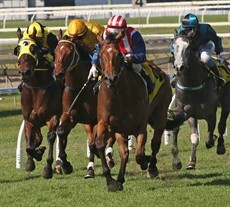 Aug 11: BARGAMMON – Doomben – Colts, Geldings and Entires Benchmark 75 – 1350m. Aug 11: SPLIT THE BILL - Gold Coast – Maiden 1200.